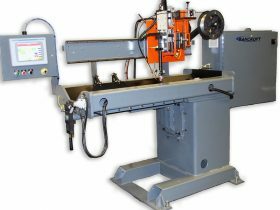 Arc seam welders are used for this mainstream manufacturing process, which is used to produce high quality welded seams with 100 percent penetration. 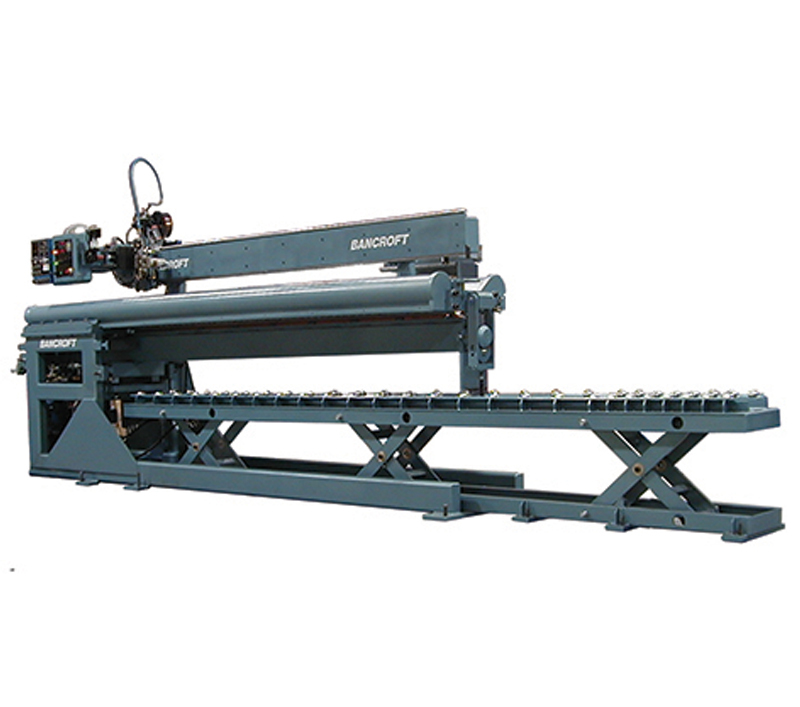 The seams that are welded in standard machines are usually straight and flat. 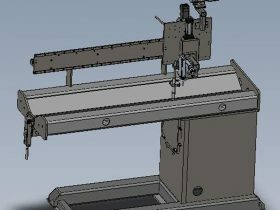 Applications include flat sheets, cylinders, cones, and boxes. Ferrous and non-ferrous alloys can be welded using a variety of arc welding processes. 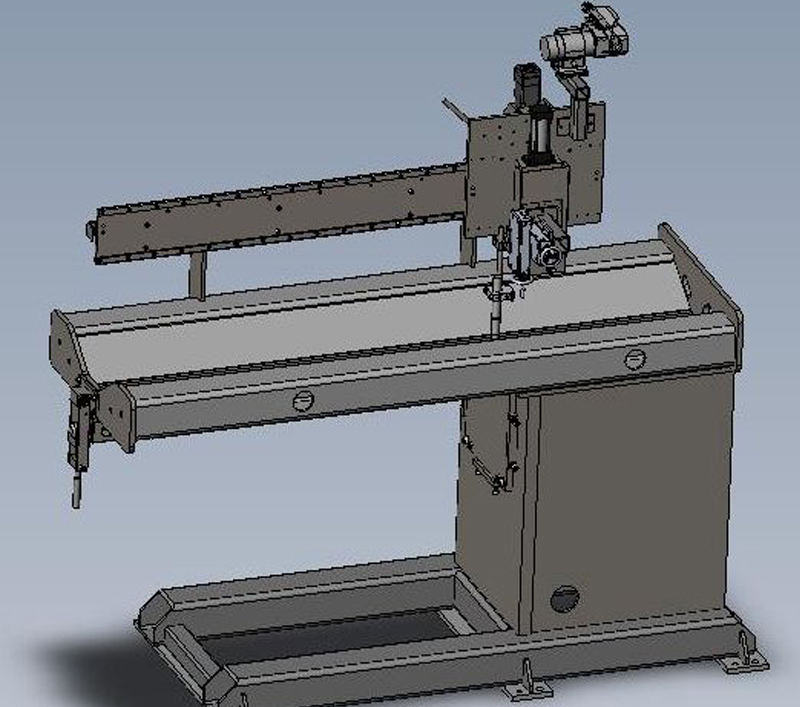 The design of the machine allows the weld seam to be clamped firmly between copper fingers and a copper backing bar. (material’s other than copper can be used). Clamping the weldment to a highly conductive material, with sufficient force creates a “heat shunt”. The heat shunt allows the seams to be easily melted while providing protection from oxidation and burn through. The shunt effect also minimizes distortion. Backing bars can be water cooled, and can have provisions for supplying inert backing gas. 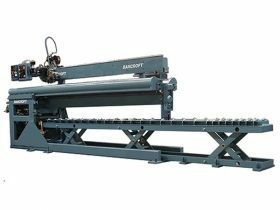 Standard and custom controls for seam welders are available along with accessories to accommodate individual production needs. 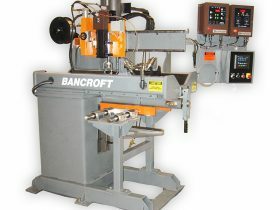 Bancroft Engineering also manufactures replacement and aftermarket parts for Jetline seamers. 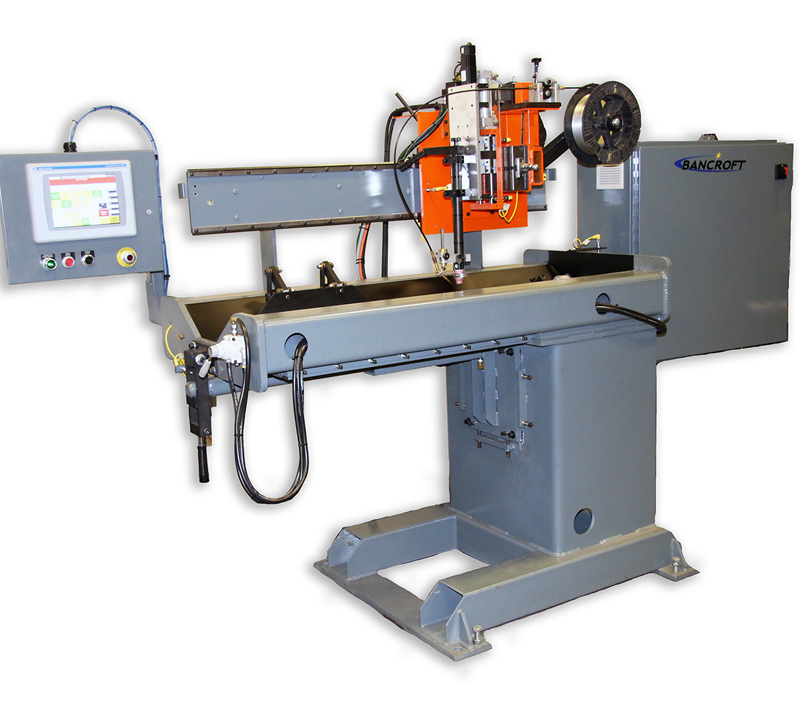 Ideal for single pass full penetration welds in cylinders, cones, boxes, and flat sheets. Available for both internal and external applications. 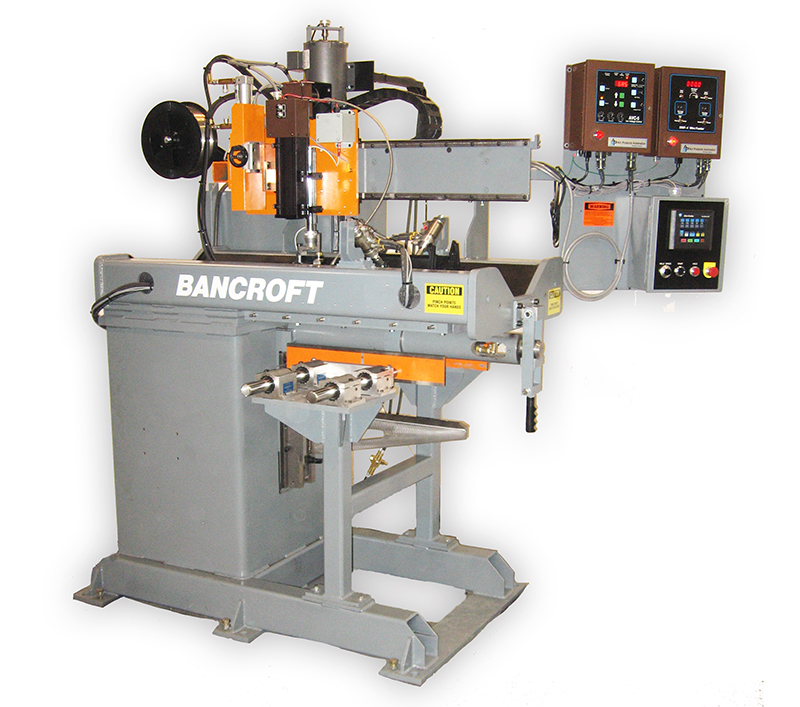 Can be equipped with TIG, Plasma, Submerged Arc, or MIG welding processes. Machined travel beams are standard with hardened rails. All clamping fingers are equipped with reversible copper tips for maximum life. Backing bars are available with inert gas, backup, purge and/or water cooling. Tig – Cold Wire feed, AVC.